The Auger electron spectra after the chlorine 2p excitation and ionization in the gas phase CH2Cl2 and CD2Cl2 molecules were investigated both theoretically and experimentally. 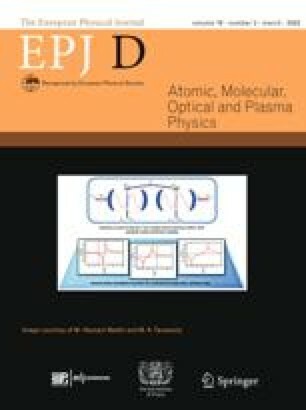 A series of high-level ab initio quantum mechanical calculations have been performed at multiconfigurational self-consistent field (MCSCF) and multireference configuration interaction (MRCI) levels of theory to compute the Cl L2,3VV Auger lines. Calculations were compared with the corresponding experimental photoexcited and photoionized spectra.